Inspired by the “desire to keep creating,” the husband and wife team behind Pepper Lane Designs, Dustin and Jamie Muyres, are fueled by the creative web they have found in Jacksonville and more importantly, by the feeling of providing hand crafted pieces that they know will be loved, used, and treasured by families and friends throughout their community. 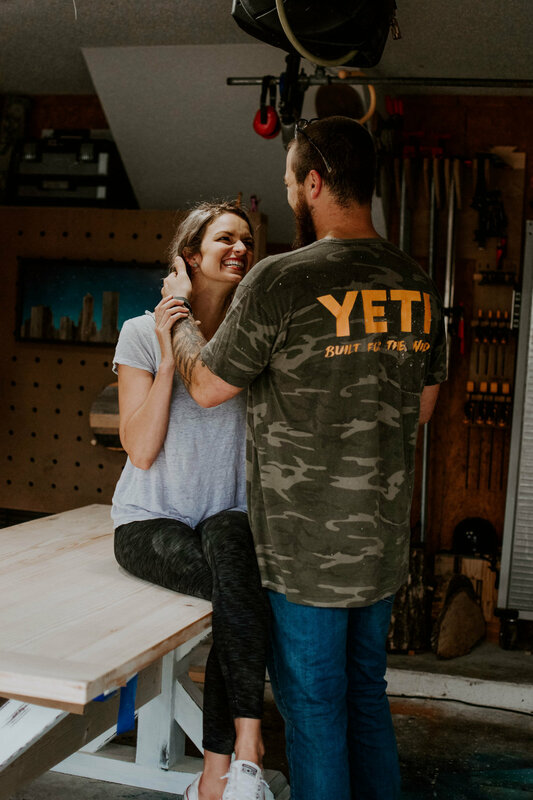 Equipped with do-it-yourself attitudes and beautiful tables, the Muyres love creating their art for people across Jacksonville. The desire to keep creating. Our house was beginning to fill up and we needed a way to keep fueling this passion. We had friends and family start requesting different items which started to spread further than our circle of friends. Fast forward a couple years, with the encouragement of a couple families close to us, we went out on a limb and applied for the Makers Market in the fall. Little did we know, this would start a whole new chapter in our life. The name comes from our two daughters middles names, Lucy Pepper and Maxeen Lane. They have three brothers, so they will never date. When did you realize that woodwork was your passion? Dustin (aka Husband): I grew up in a family that was very encouraging with any passion my brothers, my sister and I wanted to pursue. Skateboarding ramps were the first thing I started building. Our parents would let us basically fill up their driveway with ramps. The first couple were more like death traps, but with time and trial and error they started to turn into something that would last. Side note: I now have a half pipe in my backyard, some things never change. Jamie (aka Wife) I grew up in a do-it yourself family. At a young age my Dad would let me help on any project he had going on, from laying floors to building a barn I would be on the job site. I have a math brain and love any challenge that requires using numbers (Dustin: she is usually...always right, which works out perfectly because I always measure twice and cut twice). Fast forward many years and many builds later, our projects started to get more and more challenging. A family friend of ours asked us to build them a dining room table. Armed with YouTube, a circular saw, and some clamps we naively said, “We got this!” This table was the starting point to a more refined version of woodworking we previously had no idea about. The feeling we got when delivering the table and knowing that this will be a centerpiece for countless family times was indescribable. Many tables later, our technique has evolved and our garage is no longer a garage, but we get the same exciting feeling everytime we create something; whether it is furniture or art, that someone else can get enjoyment out of. What is your favorite thing about the process of creating and selling pieces? The moment you hand the item over or deliver it to its’ new owner. The idea that something you created will now live on with someone else is an unmatched feeling. What do you love about Jacksonville, why do you choose to make this your community? The community of makers has been nothing but welcoming to us. We have made friends through this process that are beyond psyched to help out anyone new to the community. You couldn’t ask for a better place to share your passion. A killer spring market! After that more collaborations with local artists, then we will follow whatever path this takes us on. Creators are often builders: sometimes figurative builders with nothing but the feelings they create in their viewers, sometimes physical builders who leave their customer with something they can feel and use, and sometimes they’re both. 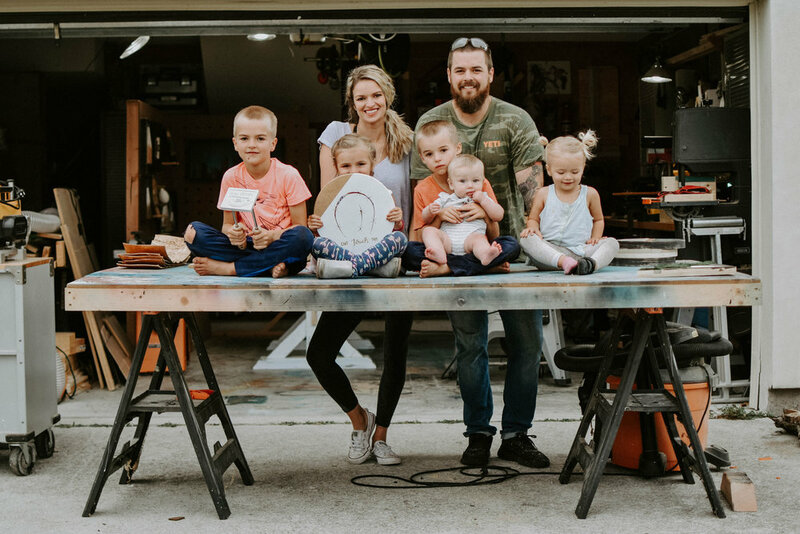 Pepper Lane Designs is an intersection where the idea of a group of people gathering together happens over one of their tables, or in front of one of their frames.